The Fernsehturm, height: 368 metre (including antenna), is the tallest structure in Germany. 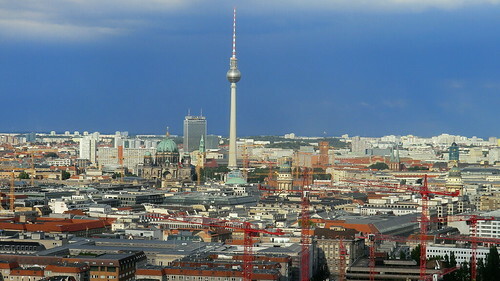 Close to Alexanderplatz in Berlin-Mitte, the tower was constructed between 1965 and 1969 by the government of the German Democratic Republic (GDR). It was intended as both a symbol of communist power and of Berlin.